First of all my wife and I want to wish all the Community a Bless Christmas 2011! And to let you know we are praying for you daily as our broken hearts continue to cry out to God Day & Night for His Mercy & Peace in daily prayer! It has been a very difficult year but also a year of some how by the Mercy of God and your daily prayers we have come through! We are not dead yet! Thank you a thousand times over! As we enter the Christmas Season it is a great blessing but it is also of great pain because of the continued after shocks of the death of our only son and all the other deaths and losses in our lives in recent years! Please continue to have the Community include my wife and I in their daily prayers Now and in the days ahead....Christmas 2011,2012....or as long as possible?? God's Healing,Protecting Peace & Hope! Please if Possible? Can you pass or e-mail our urgent prayer intention on to other Communities(Women&Men) of Prayer that you know of in the Worldwide Community of Prayer? For the long term?? .Christmas 2011,2012...?? Or as long as possible? We just can not bear this painful and sorrowful cross alone! Both my wife and I are well pass 55+ and have no family any more! And to be honest with you we don't know how God will bring good out of all the pain and sorrows! Never less,We continue to occupy by staying at our Post in Faith and Hope with the help of your daily prayers and God's Mercy! Thank you for your patience ! PS. 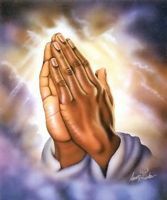 Again, we will keep you in our daily prayers especially in these uncertain times we live in now!